Twidge is a command-line, full-functional Twitter client. It supports posting updates, retrieving information, and excellent integration with the Unix shell scripting environment via piping and well-formatted output. 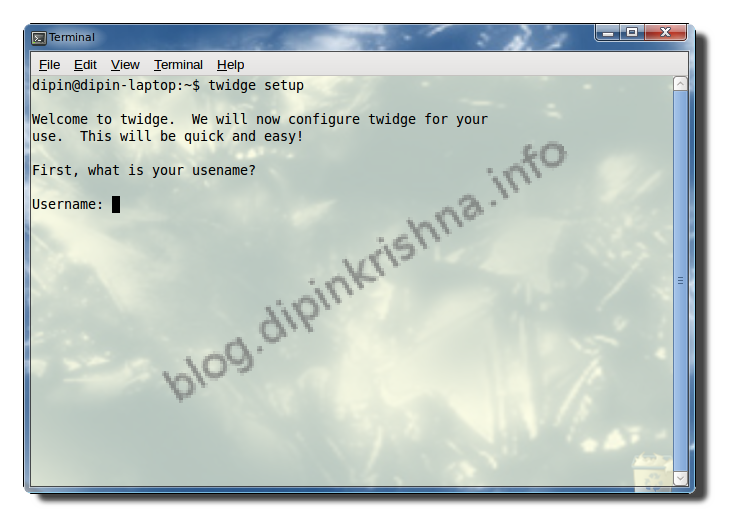 Twidge is a tool for interacting with microblogging sites such as Twitter and identi.ca. * lsfollowers : Shows the people still following you. If you need help with any of the commands, type the command followed by “- help”. I’ve rebooted, but it doesn’t help. I tried apt-get install curl, but it says I have the latest version. I’ve rebooted, but it doesn’t help. I tried apt-get install curl, but it doesn’t help because it says I have the latest version.